Students create pop up books as a part of Pixy Liao’s workshop. What did you get funded for? 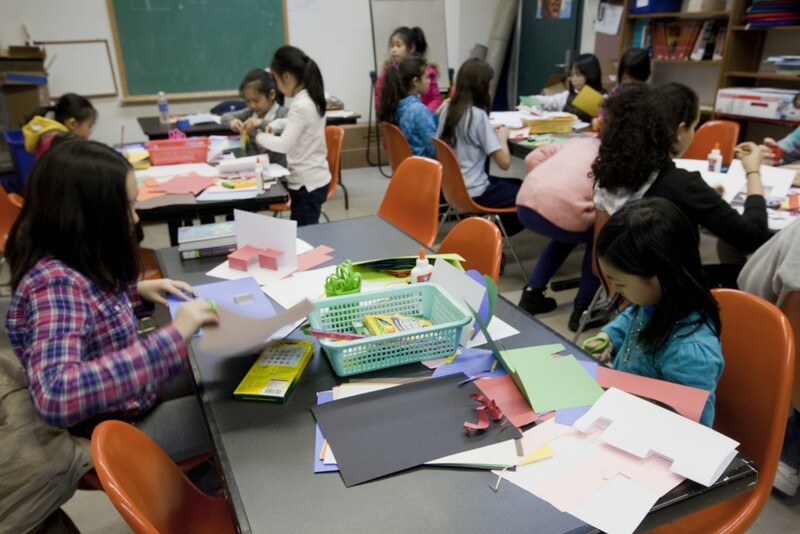 The children pop-up book workshop is one and half hours long workshop provided at different Brooklyn library branches. The workshop is to teach the children how to make a simple pop up book, at the same time, encourage them to relate to their mother culture by teaching them in Mandarin. What else do you have coming up? Right now I’m also co-leading a group of adults at Queens Museum New New Yorker program with artist Juan Recman, making advanced digital storytelling projects. 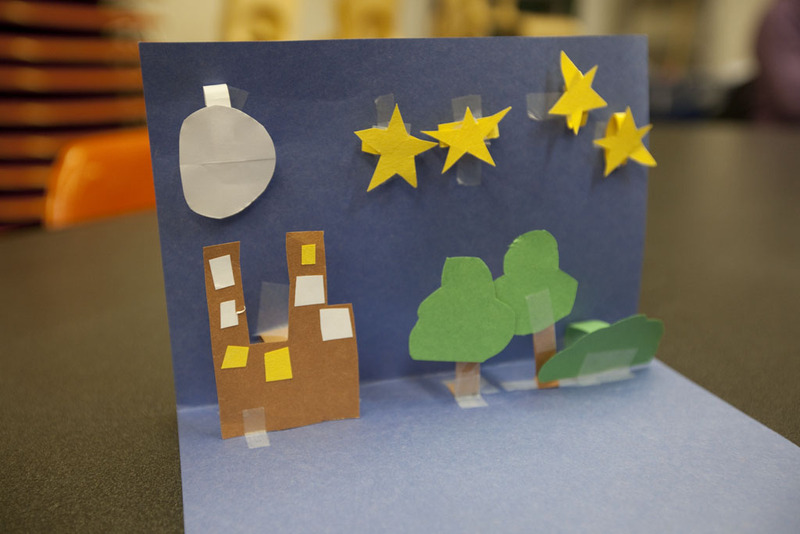 My students’ work: either a pop-up card made by a 8 year old or photo stories made by a 70 year old. Anything that you’re totally over? Long hours of transportation in NYC. Thinking about it or helping others to make art. An example of student work. Image provided by artist. Born and raised in Shanghai, China, Yijun (Pixy) Liao is an artist currently residing in Brooklyn. She is a recipient of NYFA Fellowship, En Foco’s New Works Fellowship and LensCulture Exposure Awards, etc,. She has done artist residencies at Light Work, Lower Manhattan Cultural Council, Center for Photography at Woodstock, and Camera Club of New York.